My honey likes granola. He’s always searching for the perfect blend of oats and spices. We came close to finding his favorite after a visit to Healthy Living in Burlington, VT, but we haven’t been able to find anything like it in MA. 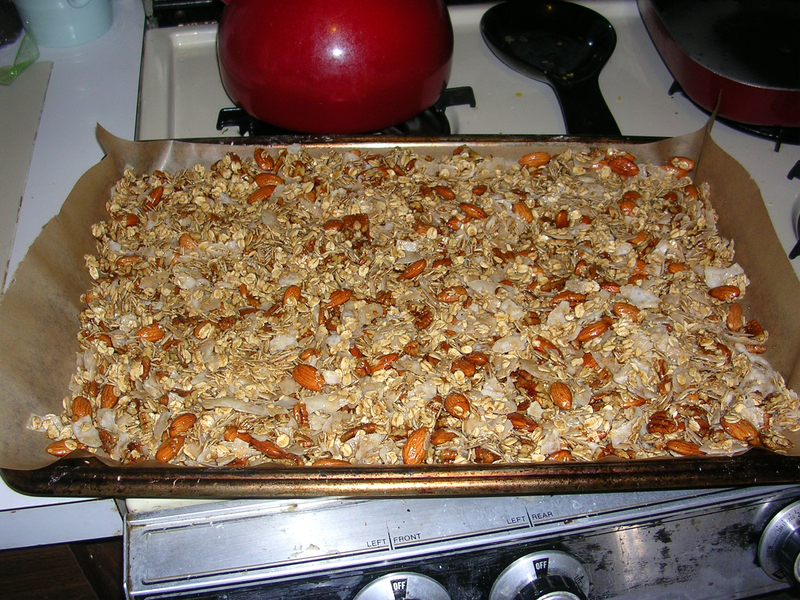 So I decided to make him some granola! 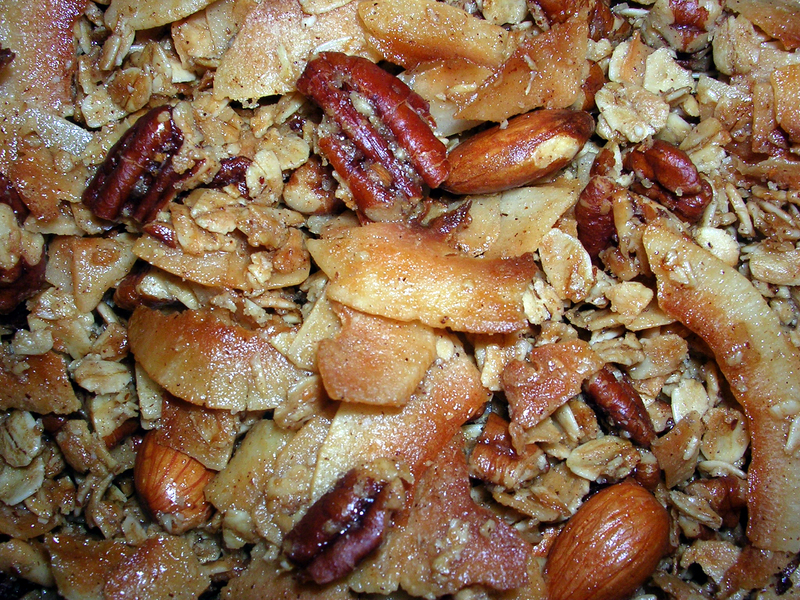 I used a Martha Stewart recipe, added some almonds and took away some of the brown sugar. 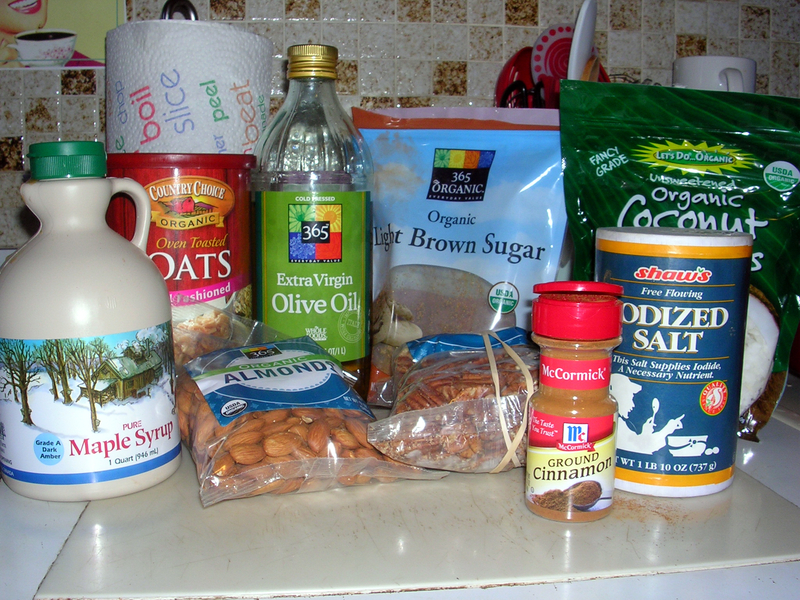 I used only oats because they are naturally gluten-free, although sometimes processed on the same equipment as wheat products or grown in soil that previously grew someone in the wheat family. The oats I used were from Trader Joe’s, and not specifically labeled as gluten-free, but gluten-free oats do exist out there somewhere. 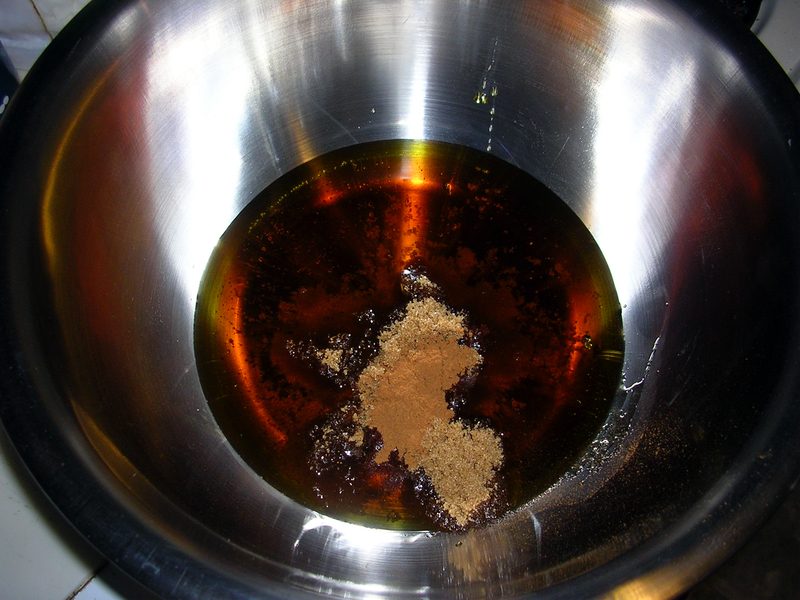 In a large bowl, I whisked together the maple syrup, brown sugar, oil, salt and cinnamon. 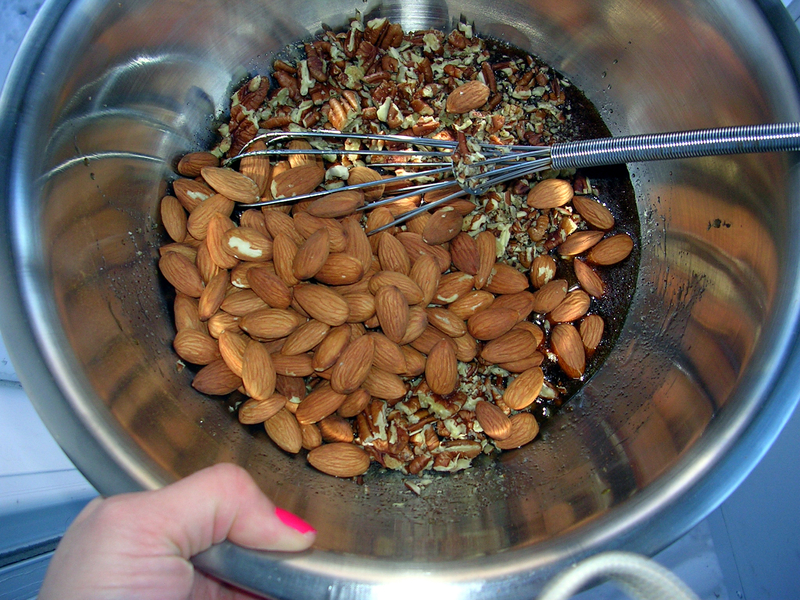 Then, I coarsely chopped the pecans and added them to the mixture along with the whole almonds. and baked for 50 minutes at 300 degrees, stirring every 20 minutes. M’s granola turned out wonderfully! 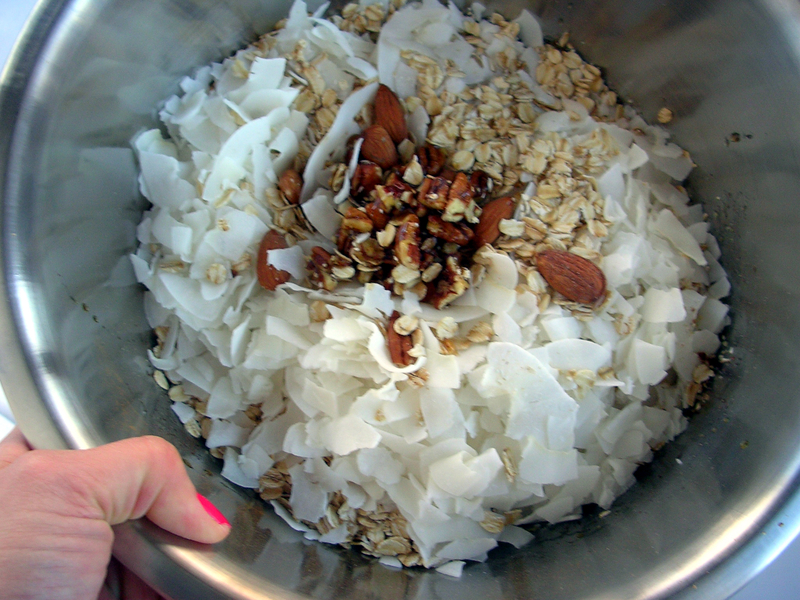 The toasted nuts and the coconut are the best parts, in my opinion! 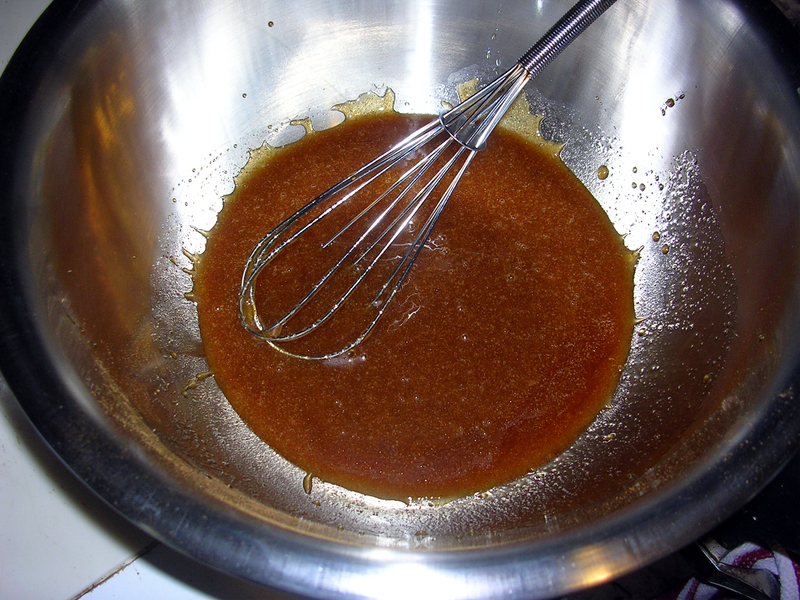 The ‘nola’s a little sweet, so I think next time I’ll use less maple syrup, or cut out the brown sugar all together. Overall, a delicious sweet breakfast treat! AND there were no granola explosions like last time! I ate some this morning with a banana and coconut milk! Pot Roast with Root Vegetables! OMG that looks sooo good, I feel like I can taste it now, with some yogurt…YUM! 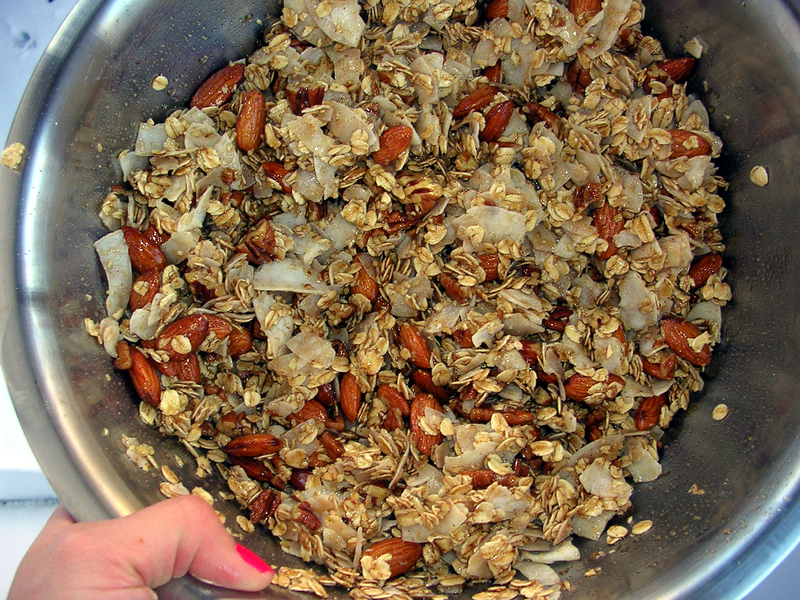 I love granola but have never tried to make my own. That looks amazing!!! Wow that looks incredible! I will definitely be making some this weekend. I am eating gluten free after my doctor suggested that it may help my Lyme disease and I always have a hard time coming up with good breakfast ideas. I finally got around to making this and I am so glad I did! 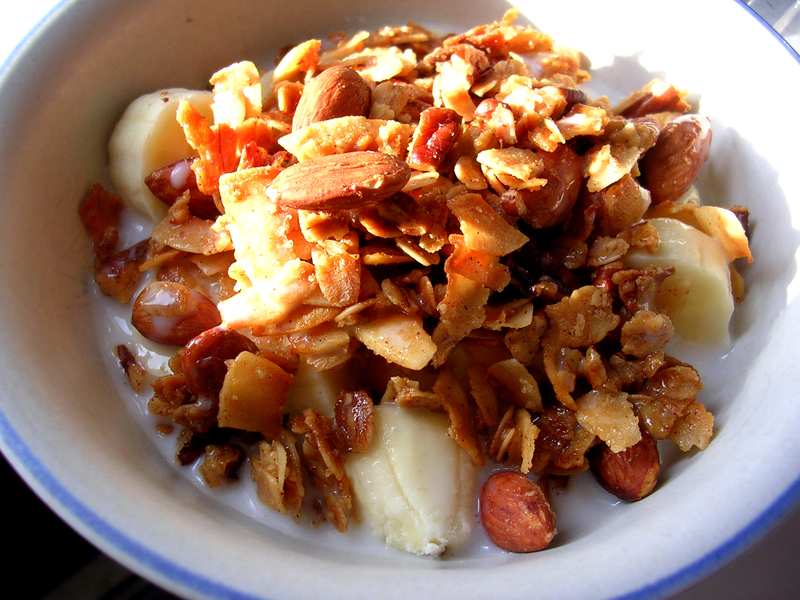 I have been buying kind brand granola and really love it but it is so very expensive! To me this tastes even better and will save me a lot of money. Thank you so much for this recipe.